I love Richelle Mead books. Flat-out love them, unapologetically. I don’t see them as “guilty pleasures”—just plain-old pleasure reading. They’re usually engaging and fairly light, easy reads. The characters are interesting, and the plots don’t require a lot of thoughtful analysis afterwards. Therefore, I was slightly taken aback by the first book in Mead’s adult “Age of X” series, Gameboard of the Gods. To begin with, it was written in third person with three narrators while her other books are first-person with one female lead. Second, it just seemed overly ambitious, maybe even heavy. 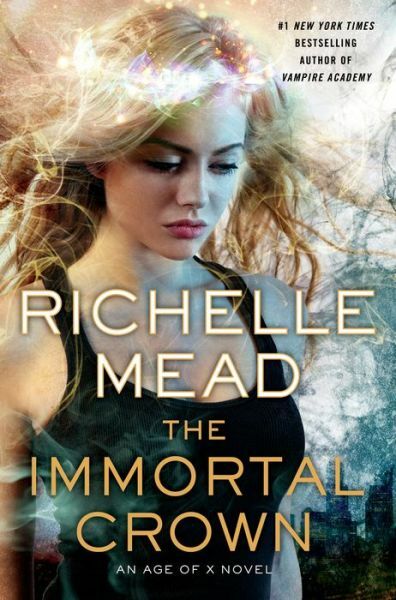 I’m not saying Richelle Mead shouldn’t try to change up her game; I just didn’t love it for reasons I usually love Richelle Mead books. So on to Book 2! WARNING: This review will contain spoilers from Book 1, Gameboard of the Gods. THE PLOT: The series takes place in a dystopian society where the Republic of United North America (RUNA) is a superpower. The decline took place after a genetic disease referred to as Cain ravaged the world, and religious beliefs aren’t tolerated. But the ancient gods are rising and ready to take over the world. In this installment, “religious investigator” Justin is still dodging being officially pledged to the god Odin, whose two ravens live in Justin’s head and provide guidance. (That sounds REALLY weird if you didn’t read the first book.) Praetorian Mae is still protecting him, and they head with a group of politicians to Arcadia (i.e., the country made up of the former southern United States such as Alabama). But Mae has a secret agenda of looking for her long-lost niece in the horrible Arcadian wife-and-concubine farms. An unknown goddess seems to be providing her with assistance, but what will be the price? Justin is defusing an Arcadian plot to bring religion to the RUNA, all while wondering if he should just finally cave and become Odin’s priest. And of course, he has to fight his attraction to Mae, because “claiming her” will mean he belongs to Odin. There’s some political intrigue, and also Justin’s ward, Tessa, possibly being used by various forces to stir the pot. MY TWO CENTS: I really got into this book and wanted to keep reading to see what happened…with the exception of the Tessa sections. I just felt like all the action ground to a complete halt with her. I just don’t find Tessa that interesting of a character…which bums me out, because, hey, love the name! 😉 I wouldn’t recommend SKIPPING the Tessa chapters or anything, because you know it’s all going to tie together. But all the action is with Mae and Justin, and that’s where the reader wants to be. Hiddles, I love you so much. 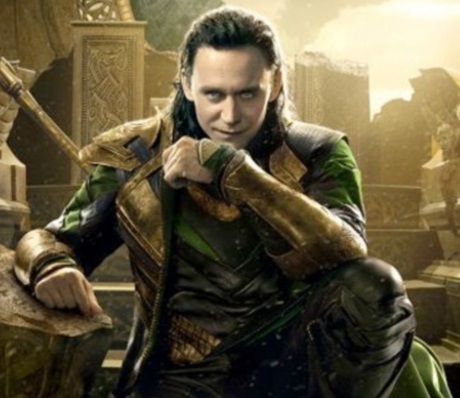 Okay, maybe not in this Disney/Marvel incarnation, but, you know, the character of Loki is pretty popular. All I’ll say is, keep reading. BOTTOM LINE: Maybe I just knew better what to expect from the series this time, but I liked this installment much better than the first one. That said, I’d like to go back and reread the first one now, so I’m inclined to make that purchase when I wasn’t on the first read. TEACUP RATING: I give it a solid 4 out of 5 teacups, maybe even a little more. I’m now fully engaged in this series. ON SALE DATE: The Immortal Crown will be on sale in hardcover and ebook formats on May 29, 2014.